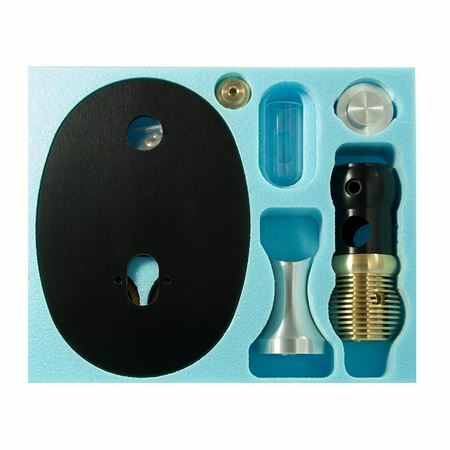 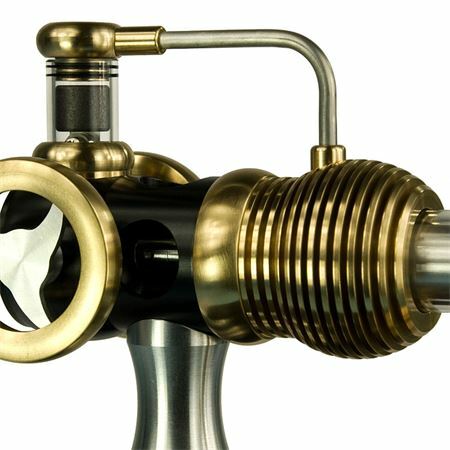 This beautiful compact engine will run at over 2000rpm on a tiny methylated spirit flame. 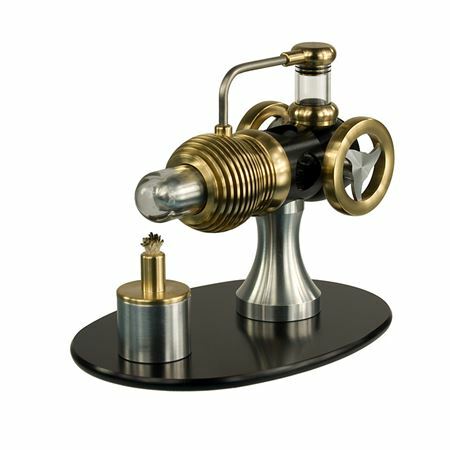 We call it a tube Stirling engine because it uses a tube to move air between the power cylinder and the displacer cylinder. 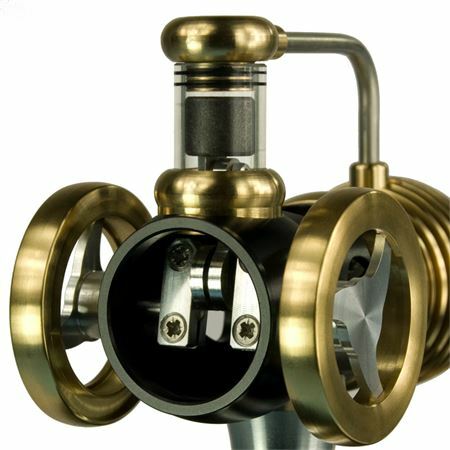 This Stirling engine is a Gamma-type engine but the tube allows the power piston stroke to be easily offset 90 degrees rather than use of a crank. 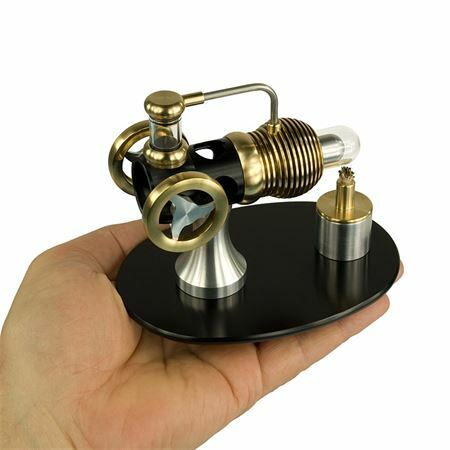 The glass dome is the hot side of the Stirling engine with the brass heatsink being the cold side.